Tuscany: Is It Still A Property Investor’s Dream? If there has ever been a safe place to invest in real estate, Tuscany is it. This area has and seemingly will always be a good place to invest. In general, Italy does not suffer from the booms and busts that are famous in the real estate investment industry. In addition, Tuscany property values are protected by strict planning laws that limit new building work. Property therefore never suddenly loses value because an ugly building is put up in the area. Knowing that these standards are in place can help to protect your investment. Tuscany keeps its charm by it being law for builders to maintain a traditional style. This is something you will easily be able to adhere to as a real estate developer. As a developer, you will be able to enjoy the beauty of Tuscany while you wait for the return on your investment. Even if you are not going to be living at the property while you invest, there are plenty of ways to use it to your advantage whether that means renting it out or using it as holiday accommodation. 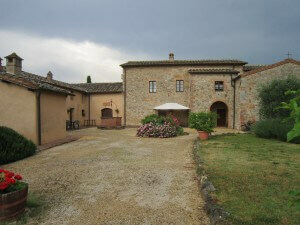 Tuscany is not the right place to make a lot of money quickly but it is a secure investment with a slow, yet almost guaranteed return. Long ago, it was possible to buy an old run down farmhouse and transform it into a dream property but this isn’t the case anymore. Now it is better to search the market for the current bargain. Sometimes this can be a previously restored property or something that needs slight changes made to increase its value. The area changes continually depending on which part of Tuscany is popular at that moment. There are a huge number of agents that can help you find the right property to invest in. What has remained constant is that investing in Tuscany is always a great financial move. 2 Comments on "Tuscany: Is It Still A Property Investor’s Dream?" Thanks for the tips here. We’ve actually come into some money recently and are looking to invest in property. And the wife has always wanted to get a place in Tuscany…..and with the laws they have there, I agree that the value would never go down. And it’ll be a ideal spot to move to once we retire.